Here is an interesting and exciting way to get in shape in a natural setting. SUP Fitness firms up the body by engaging muscles you typically don’t use while working out at the gym. 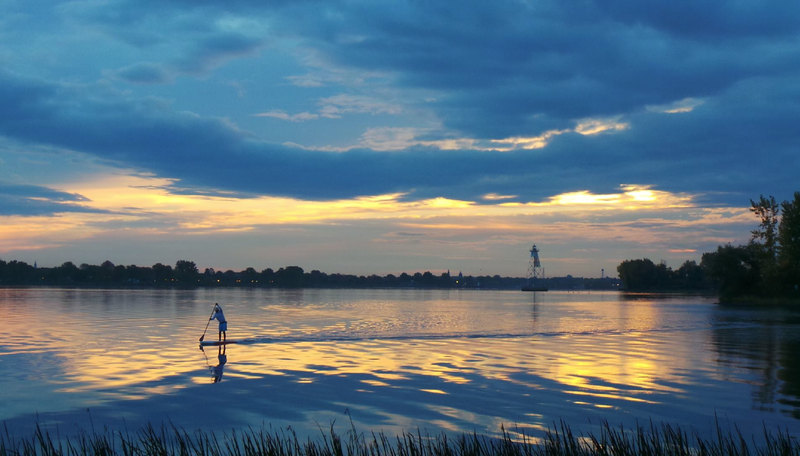 By simply standing and paddling on a SUP board, you work your core and stabilizing muscles. Our classes are designed to offer you a complete workout by soliciting every muscle group in your body. SUP Fitness helps you build muscle strength and cardio respiratory endurance as well as develop your flexibility and your agility while balancing on your SUP board. A must try this summer! This class is designed to introduce you to the basics of both SUP and SUP Fitness. In order to build a proper SUP Fitness practice, one must know how to move on a board as well as use different and essential techniques. Based on the principle of proprioception and functional fitness training, our program will take you through a series of exercises and poses without you leaving your board. Prerequisites: Have previously done SUP or taken a SUP or SUP introduction. Be confident in water.Participant must be 8 years old minimum; children under 16 must be accompanied by an adult. The early trained bird catches the worm of course! You will be impressed by the benefits of this morning training and by the calm of Saint Lawrence River in the early hours of the day. An original and really good body toning approach to stay fit and this, with only a SUP board and a paddle. 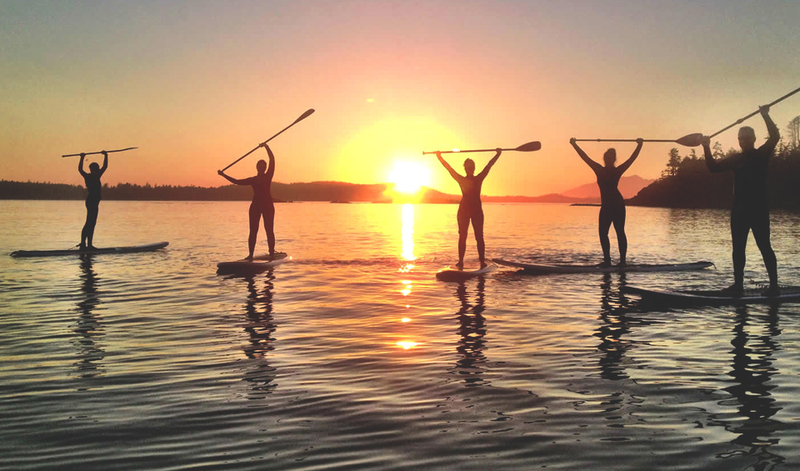 This SUP Fitness class is designed to help you build muscle strength and cardio respiratory endurance as well as develop your flexibility and your agility while balancing on your SUP board. Structured as a Boot Camp in order to get you in shape through circuit training with intervals, this is the perfect class to get in shape quickly or to refresh your regular fitness regimen.